Her tiny voice has nothing to hide. But she is like a sencha green tea bag that won’t brew in hot water. The water remains clear and the tea bag just gets hotter. But there is no leafy color to the water, yet still, she pours the water in the teacup anyway. The essence of the drink has a song but not a say. The tea is like my sister who sings on the inside. No one knows what song she likes to sing, but a colorless chirp bubbles under the tide. The broken, tiny voice still sings. Through murky waters, still creeks, and winds passing through the butterfly wings. The flower child kneels and sips her watery tea. My sister is my friend and I am her and she is me. Last week, we made word pies out of magnetic words. We took a pie pan and played with the various magnetized words to make up sentences. One child made the sentence, “My sister sings on the inside.” I thought that was an interesting sentence and I decided to try and write a poem about it. The word pies turned out great.. Another child started his sentence, “In the wild garden, I pretend to….” Can you finish the sentence and write a story about it? Peter was the youngest of six. His older brothers and sisters were all amazing people. He had to admit he was a green-eyed monster and jealous of their incredible talents. The oldest brother Charles was great at playing the guitar. He made up songs and funny lyrics. But every time Peter tried to play the guitar, it came out like a loud clang. Peter’s hands were so small they could not quite wrap around the neck of guitar. Soon he gave up his dream of playing music. The oldest sister Margaret was great at speaking Spanish. She talked in Spanish at the dinner table. But when Peter tried to speak Spanish, he could only remember a few words and ended up pantomiming the rest of his sentences. He became good at charades, but lousy at Spanish. Jeanne was great at soccer. She could dribble the ball around cones in five seconds flat. 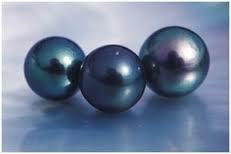 When Peter played soccer, he would trip over the ball and one time he ended up scoring a goal for the other team. Jenny was great at art. She could draw beautiful flowers and trees that would make you want to visit the park. When Peter drew a picture, it came out as unrecognizable scratches. He couldn’t make anything that looked like it did in real life. Kris was great at martial arts. He was a black belt in Tae Kwon Do and knew not only the moves, but the philosophy behind the self-defense techniques. Peter was pretty good, but he was only a yellow belt and could not never beat Kris. Peter decided he wasn’t good at anything. He couldn’t play the guitar, speak Spanish, play soccer, draw, or do Tae Kwon Do. He was very sad. He wrote in his journal how sad he was that he was not talented in any field. He wrote about his tiny hands, the charades, the goals he scored for other teams, his painting of a flower that looked like an elephant, his losses to Kris. “I am writing in my journal,” said Peter. He opened up the gift and it was a dictionary! All the words were in there to express his feelings. He taped the words he liked to the walls of his bedroom. Words like poppycock, niblings, and twirlblast. Surrounding him when he slept were all his favorite words. He loved the words. Soon, he wrote every last page of his journal using the new words he looked up in the dictionary. He realized he was good at something. He was good with words. This made Peter very happy. He was no longer a green-eyed monster, but a brown-eyed king of words. Little Judith lived in the most beautiful village in the whole world. It was a place called Ogden where butterflies were extra colorful and iridescent and the water was so clean it was like bathing in spearmint leaves. There was tennis on the rooftops, skiing on glaciers, and surfing in the turquoise ocean all in the village. It was always sunny in Ogden, a perfect temperature for any activity year round. One day, Little Judith decided she was bored with perfection. She wanted to venture outside the city limits into a mysterious land. Little Judith thought, “Hmm, I wonder what else is out there for me?” She said goodbye to all her friends and they wished her well. None of her friends knew what else was out there in the arid land outside of Ogden. As soon as she crossed the border, a warm wind enveloped her and she got a tingle down her sheep spine. A slight fear overtook her suddenly, but she shook it off her fur coat. First, she saw a green spiny plant that was the shape of an oversized thumb. She wondered what it was and touched the cactus, but cacti are prickly and it hurt her hand. Her throat was very dry and she was parched. She came across a little oasis and decided to bathe in it and drink the water. She got muddy though and her beautiful fleece white coat was brown. The water tasted awful, not like spearmint leaves, and she spit it out. She started to miss home. Next, she came across a boulder to sit on and rest. Oh, how she was tired. A little rest would be so nice. She sat on the boulder, but it was blazing hot from the sun mercilessly beating down on it. She quickly jumped off the rock in a flash. She thought to herself, Ogden was paradise. How could I have been so bored with tennis on the rooftops, skiing on glaciers, and surfing in the ocean? I should try to make the most out of paradise. All of my friends are back in Ogden, and out here in the unknown I haven’t met anyone except cacti, muddy water, and a hot rock. She skipped back to Ogden with a new attitude. She took a cool shower, ate fresh blueberries, and hit the slopes with her friends. It was a perfect day in paradise because she made the most of it. She would never take Ogden for granted again. She was happy to be home. Wouldn’t it be nice to live in Ogden? Many people think they will be happy if only they lived somewhere else. I used to think this and moved to many places. I met the same people only with different names and faces. There is the expression, “Bloom where you are planted.” I really like that and now have fallen in love with the city I live in and her residents. I woke up and popped right out of bed and put my favorite pair of jeans and T-shirt on. I wasn’t paying much attention and didn’t realize my shirt was inside out. I walked to school and wouldn’t you know a monkey came out of nowhere and slapped me on my right cheek. I was scared, but I managed to escape the monkey. I thought that was odd. After school, I went to the hair salon to get a haircut, and another monkey wielding scissors chopped off my long locks when I only wanted a little trim. I was so upset, but hair grows back I reminded myself. I met my friend to study at the library and who knew that monkeys ran libraries? This little monkey kept talking loudly and we couldn’t hear ourselves think. I shushed the monkey, but he kept talking. How rude, I thought. Then, we walked to the swimming pool. We got into our swimsuits and sunbathed for a while. It was very relaxing. I walked by the pool to go to the bathroom, and dog-gone-it another monkey came up behind me and pushed me in the deep end. Everyone laughed. I dried off and we put our clothes back on and decided to get some ice cream. I got mint chocolate chip, the green kind, and my friend got pink bubble gum ice cream with real gum balls in it. I went to lick the frozen treat and rats! A monkey tripped me and my scoop of ice cream flew off the cone and landed on the hot cement. I thought, these monkeys are sure coming out of the woodwork today. After my friend enjoyed her ice cream, we went to the movie theater to see the latest dinosaur movie. Monkeys surely don’t go to movie theaters. I thought we’d be safe. We bought our tickets and took our seats and waited until the lights turned dim. As soon as the movie started, two monkey hands slithered around my face and covered my eyes. I tried to peel them away, but the monkey hands were covering my eyes and I couldn’t see the dinosaur movie. My friend said the movie was good, but I wouldn’t know. We walked home. I was on the lookout for any monkeys lurking in the bushes. I made it home and my front door was locked. I knocked on the door. In fact, I pounded on the door for someone to let me in. There were monkeys on the loose! My mom finally opened the door. During class, we were discussing that every story has a problem and a solution. The assignment for the day was a story where the title is, “The Day I Wished I Had Stayed In Bed.” We were thinking of all kinds of problems for this kind of day. 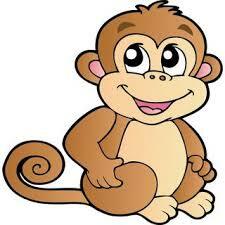 One student blurted out, “You could be slapped by a monkey.” It made me laugh! So I wrote a story for him about mean monkeys. Andrew was a scaredy cat. He was afraid of everything. His paws would shake at the slightest noise. He was even afraid of his sweet-smelling toys. He was scared of tall things, small things, fat things, cat things, yellow things, mellow things, round things, hound things, square things, and even pear things. He was scared of people that lived in the house. Even Tina the little mouse. Even though the Rosen family was quite nice and lovely and fed him white cheese in the morning because the yellow cheese was not his favorite. Not even cheese would please Andrew the scaredy cat. Andrew was a big-time, good ol’ scaredy cat. But he liked to snuggle with the Rosen’s youngest son, the cat-loving Matt. He was not too tall or small and he liked to shop for cat toys at the mall. One day, Andrew was tired. All that work of being scared and full of fear, left Andrew weak and on the verge of tears. So he had to take a cat nap. But the Rosens’ youngest son was at school so he thought he would curl up by the window with a view of the pool. He had a strange dream that he was eating yellow cheese and was very mellow. He was sitting on the Rosen’s father’s lap and did not bat an eyelash while taking a nap. He was playing with cat toys that were round and square and not one of his hairs was standing up. He woke up and felt like a totally new cat. In Andrew’s dream he was brave too. Some say little Andrew had a vision. He felt he could overcome his fear and he looked proudly at himself in the mirror. So, that afternoon. He did something he never did. Andrew chased Tina the little mouse. That’s right. The little mouse with her tiny hands and feet eating yellow cheese and not saying thank you or please. He did not catch the mouse, and he did not even know what he would do with a mouse in the Rosen’s house. He stared at the yellow cheese that the mouse had dropped as it scurried away and picked it up in his paws and then popped it in his mouth. He thought, he thought, he thought. He did it. He picked up something yellow and was as mellow as an Irish fellow. He was a new cat. He purred a gentle purr and licked his pretty white fur. Then, Andrew had another thought. Tina, the mouse, is a scaredy mouse, just like me. Instead of scaring the mouse and stealing her cheese, he thought he better make nice and give him back his cheese. So Tina and Andrew became friends till the end. They both were not scared of anything or of each other anymore. Now scaredy cat wasn’t scaredy anymore. He was brave to the core. And that is the story of Andrew, the scaredy cat who overcame his fears, and had no more tears. We wrote scary stories and the students really loved it. We started the story with, “It was a dark and stormy night and ….” Each child wrote a few sentences and then turned it over to another student. There was a lot of mention of Halloween, skeletons, and strange noises. When we read the story out loud, one student scared everyone by turning off the light quickly. It was great. 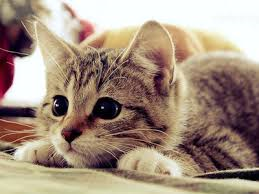 I read them my story of Scaredy Cat and they liked that it rhymed. Maybe I should write more stories that rhyme! I heard people think you are being more truthful if something you say rhymes. Remember, “If the glove doesn’t fit, then you should acquit.” Johnny Cochrane, the lawyer for O.J. Simpson, used this rhyme. I don’t want to comment if O.J. was guilty or innocent, but I find the power of rhyming interesting. I say more lawyers should rhyme. It is high time for more rhyme! An assignment that really sparked the imagination of my students was when I brought in old record albums. Many of them had never seen a record before! I had all the 70s classics on hand to share with them and they loved the artwork. We took the artwork from the record covers and wrote a story about the picture. They loved the picture of the lion on Santana’s album and wrote great stories about this special lion. 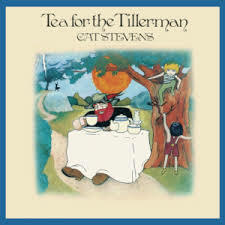 Another album cover that was a hit was Cat Stevens’ “Tea for the Tillerman.” She wrote about a man with a red beard. Another hit was “Star Wars and other Galactic Funk” by Meco. The cover of the album is a picture of disco-dancing astronauts! I have to thank my boyfriend Charles for being the keeper of his family’s record collection.